up to 5 times more bioavailable than pills or granules. Good contribution but did not resove the issue. The product is definitely good and I have noticed little improvements in the syntoms (cough, sneezing) but because of the fact that the only way to give it to him is to put it in his drinking water or in the little liquid of her food, I believe its effectiveness may have been diminished ; I did not notice, at the end of taking the entire contents of the bottle (within about 20 days, with two daily intakes in the food + the drops in drinking water which were not finished at the end of the day) a full resolution of the problem. However, I would continue the treatment (given the quality of the product, the fact that it is specific for cats and well tolerated by him flavour wise) if, due toits insufficient results, the product was at least cheaper (more than 50 euros with shipping charges). So ... I have two cats, both of them with a cough. I have given the drops to one of them who had been coughing for a long time and she started getting better after a month; now it's been 10 days that she is not coughing at all so I started giving the drops to her brother right away and after only a week the cough had resolved. I hope the product will be avaliable again because until the weather gets a bit warmer they might need ita gain. I gave it to one of my cats who had a cough. It worked so well and the cough is gone. It's surprising to see how well our friends respond to natural treatments. They are exceptional products! Shake well before using and give orally with dropper. 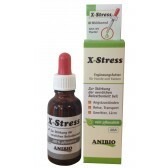 Kittens and small cats (up to 2,5 kg): 1/4 dropper (5 drops) three times daily. 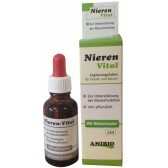 Medium cats (up to 10 kg): 1/2 dropper (10 drops) three times daily. Large cats (10,5 kg and up): 1 dropper (20 drops) three times daily. Primalix KC For Cats is most effective when given on an empty stomach. Insert dropper into pet’s mouth and squeeze bulb to discharge. Make sure your cat has plenty of fresh drinking water available (please use only filtered or distilled water). Give dosage evenly throughout the day. The best time to start giving your cat Primalix KC is three to five days BEFORE exposure to a kennel population. Primalix KC’s herbal formula is precisely balanced to nourish and strengthen your cat’s immune system. Natural defenses become activated so that infection is defeated before it takes hold. Remember, an ounce of prevention is worth a pound of cure. Warning: If the cough does not disappear within a maximum of one month, it may not be a typical cough or respiratory congestion, but rather check that it has a wire or an object stuck in the esophagus through an esophagus fluoroscopy, and also check that is not linked to the heart (sometimes it is), then the examinations on the coronary arteries. However it is necessary to contact a veterinarian. Extracts without alcohol: echinacea root, Tossilaggine, marshmallow and mullein, distilled water, vegetable glycerin, organic apple cider vinegar, citric acid, all certified USP, Kosher, no GMO.